Well the wheels are falling off... the only solace is they are for everyone else as well with upsets running amok with tipping the last two rounds. A shorter 4 game Round 18 lets us have a crack at a cheap 'perfecto' round but there is maybe only one game that looks a slam dunk and that involves the team who leads the comp with just 3 losses... and you aren't tipping them. 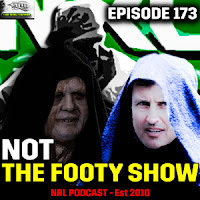 🚨 Listen to NOT The Footy Show Episode 173 below. After last week's 'new bunnies' you should pick Souths... then you realise you'd be picking Souths. Sure the Roosters are hit hard by Origin but I just have a feeling they get the job done against Souths who I simply don't trust to play last week's open footy this week. I never learn with Manly. 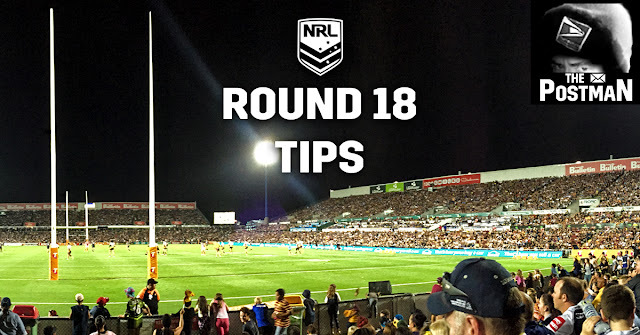 I keep tipping against them and they win and tip them and they lose - and I got lucky last weekend tipping them to beat the Warriors given how that game started... Penrith aren't hurt by Origin here and Manly will be without Jake Trbojevic - it's a big loss for them and Penrith are at home. Parramatta simply have to take full advantage and beat a Melbourne team without Smith, Cronk, Slater, Chambers, Munster and Glasby. 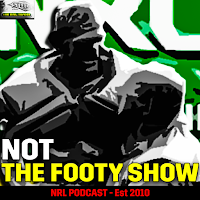 No ifs or buts - they have to win this game as it puts them into pole position for a spot in the 8 with the chasing pack leaving themselves a lot of work to get back in touch let alone pass the Eels if they win this game. PS. You aren't dumb to pick Melbourne either.